Support for Windows XP and Office 2003 has ended, Microsoft announced yesterday. In a statement in its blog, Microsoft said as from April 8th 2014, it will no longer release security updates for the 12 year-old operating system and the Office 2003 product. Yesterday was set to be the last Patch Tuesday for both products. Consequently, Microsoft is warning users running Windows XP that they risk major security vulnerabilities henceforth, and advises users to upgrade to newer Windows versions. “Microsoft provided support for Windows XP for the past 12 years. But the time came for us, along with our hardware and software partners, to invest our resources toward supporting more recent technologies so that we can continue to deliver great new experiences,” a statement read in the Microsoft Blog. It turns out that many people are still using the outdated, 12 year old Windows XP OS. 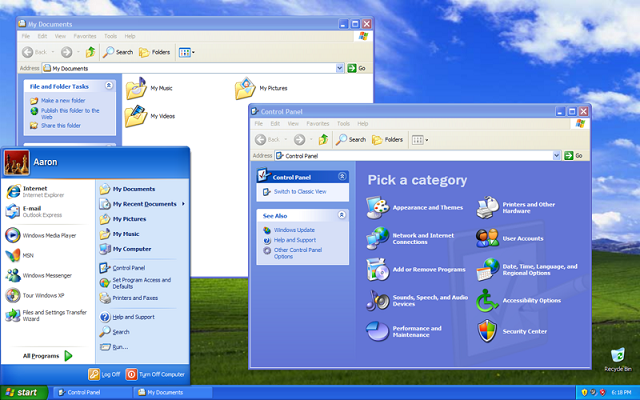 The Windows XP still has a wide user base and is ranked second most popular operating system worldwide. As at January 2014, Windows XP global market share stood at 29% behind Windows 7 that commands a leading 47% global market share. Among those heavily affected by the move by Microsoft include governments such as the US, British, Chinese and Dutch Governments whose several millions computers may miss the upgrade deadline. These include computers on military and diplomatic networks that secure classified information. Major banks and their global subsidiaries are also calling for an extended support as 95 percent of ATMs worldwide are still running on Windows XP. If you’re still using Windows XP then it means you should upgrade to a newer version, be it Windows 7 or Windows 8. You can also get a new Windows computer altogether, which should be running the latest Windows 8.1 release. Alternatively, you can choose to use a different operating system, such as one of the many Linux variants, or even purchase a new computer running OS X or Chrome OS. The Windows XP was released on October 25, 2001. It received three major updates: Service Pack 1 (on September 9, 2002), Service Pack 2 (on August 25, 2004), and Service Pack 3 (April 21, 2008). On April 14, 2009, Microsoft retired Mainstream Support for XP, meaning security updates were still available but free technical support, warranty claims, and design changes stopped being offered. The company yesterday retired Extended Support for the operating system.